Call me weird, but when I buy a product, I take into account the reputation of the company. Does the company pay its employees well (not you Wal-Mart), does the company support X candidate or Y proposition, how is the CEO like? So every now and then, Time of the Tech will post CEO profiles to further enlighten you, the consumer, about the details of the head of a company. Education: Reed College, dropped out* after one semester. Other Endevours: Co-founded Pixar, after merging with Disney Studios, Mr. Jobs is now on the Disney board of directors. Interesting Fact: According to Forbes magazine (August 2010 edition), Mr. Jobs is worth $6.1 billion. Also, people can e-mail Mr. Jobs, sjobs@apple.com, and he'll sometimes answer back. Why we love him: His company designs well polished devices that are user friendly. 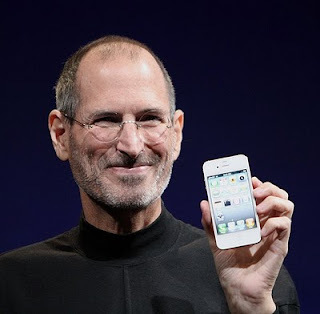 Why we might not love him: Over the past years Steve Jobs had liver problems, which led him require a liver transplant. To get on the list to be a liver transplant recipient you have to be able to travel to the hospital within a certain amount of time, no problem for Mr. Jobs since he has a jet. Mr. Jobs was able to register at multiple hospitals all over country. To be selected from the list once a liver becomes available, you have to be the one that needs it the most, which eventually he was, in.... Tennessee (he lives in northern CA). I can't help but think about the person down the list in that Tennessee hospital that didn't get a liver because Steve Jobs did. It's understandable that we would all do whatever we could, within reason, to save our lives, but there's something about this story that doesn't sit well with me. * Bill Gates, Mark Zuckerberg did too, but they dropped out of Harvard.